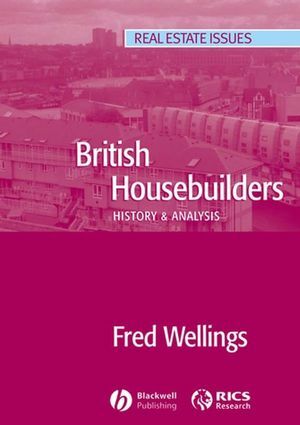 British Housebuilders is the first comprehensive account of the corporate history of the twentieth-century speculative housebuilding industry - the firms that `supplied` those houses and the entrepreneurs who created those firms. The transition from the local housebuilders of the 1930s, through the regional diversification of the 1960s, to the national housebuilders of today is charted via a series of industry league tables. The rationale for the growth in national firms is analysed. The conventional explanation of economies of scale is rejected: instead, the stock market is found to play a key role both in facilitating acquisitions and in demanding growth from its constituent companies. The supply-side analysis also addresses the frequent corporate failures: succession issues, lack of focus and the 1974 and 1990 recessions have played their part in equal measure. British Housebuilders provides the first opportunity to review the evidence drawn from a century of speculative housebuilding; it is only with this historical perspective that sound judgements can be made on the corporate role in housebuilding.